Introduction. Bruises. Abusive burns. Cutaneous conditions mimicking child abuse. Imaging child abuse. Ocular trauma. Otolaryngologic manifestations of abuse and neglect. 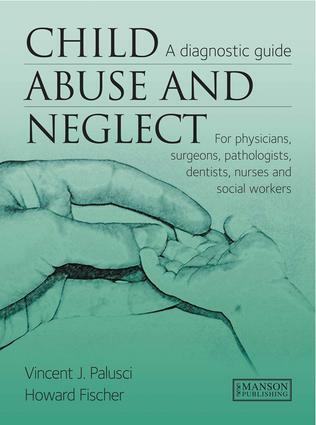 Recognition of child abuse and neglect by dentists, health and child care professionals and law enforcement. Abusive abdominal trauma. Anogenital findings and child sexual abuse. Child maltreatment fatalities. Failure to thrive. Munchausen syndrome by proxy.